Prof P A S was the second son of Appadorai Josier of Pachampettai, a village near Lalgudi in Tiruchi district. He belonged to a family of reputed astrologers. The unconfirmed story goes that one of the ancestors of P A S was honoured by the Maharaja of Mysore. P A S was not allowed to undergo English education and hence he stayed at home and was imparted traditional training in Samskrt and the Vedas. After quite a few years, thanks to the support of his elder brother, P A Ganesa Ayyar (who himself was a great teacher, Samskrt scholar and an astrologer) P A S could get the benefit of modern education. Being a voracious reader, endowed with a remarkable memory, he lost no time to acquit himself creditably in school. P A S never forgot the tribulations and sacrifices of his elder brother to educate him. 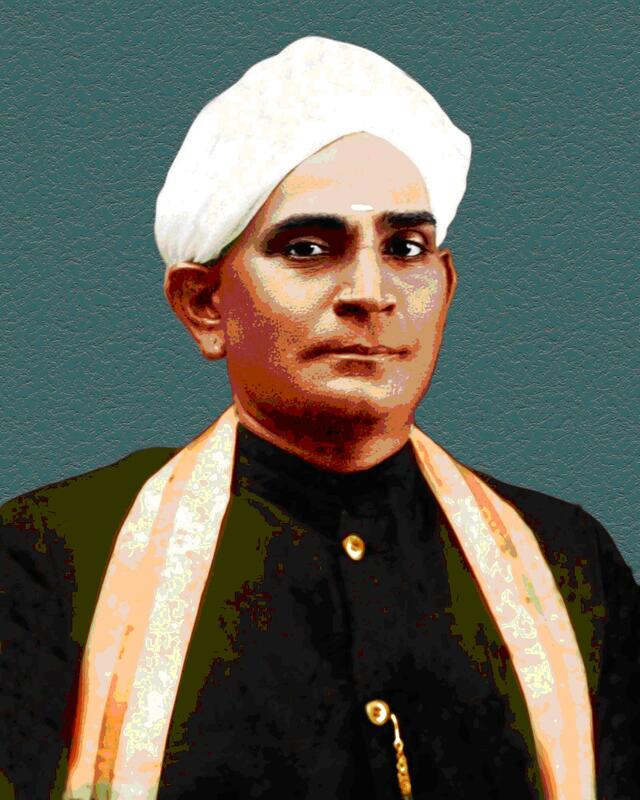 He was ever a Lakshmana to P A Ganesa Ayyar, who was also an eminent educationist of his time. The devotion of P A S to his brother cannot be understood in a better way than by reading his words appearing at the end of his Book, “Our Mahatma: "Dedicated to the beloved memory of my brother P A Ganesa Ayyar but for whose self-effacing love for me, I should never have seen the inside of a school" ". P A S obtained Master’s degrees in English and History and joined Meenakshi College at Chidambaram which later became a magnificent seat of learning – Annamalai University. The rest is history. “Prof P A S did not just teach Shakespeare. He acted Shakespeare. When he uttered the famous line ‘Look, my lord, it comes’, we all felt as if the ghost of King Hamlet were really entering the class room”. (Kumudam, issue dated 15.5.75). The memory of P A S was astonishing. He knew not only the names of his students but also the names of their parents and the villages and towns from which they hailed. It was 1948. Prof P A Subrahmanya Ayyar arrived in Madras. He had had a glorious tenure at Annamalai University as Professor of English. He had earned a name as an eminent and popular professor and a great educationist. “Professor Subramanya Ayyar was a jealous guardian of the standard of pure English and he communicated to his students something of his own love for Shakespeare”. (Annamalai University Silver Jubilee Souvenir). Prof P A S was a forceful speaker and a delightful conversationalist. He was a great humorist. He was a repository of rarefied wit and hilarious anecdotes. He showed mastery in repartee. Yet, scholarship did not weigh him down. He was earthly, genial, warm. Anybody could feel at home in his company. Prof P A S was as much devoted to Samskrt as to English. He therefore decided that the last phase of his life should be spent in propagating Samskrt language and literature. 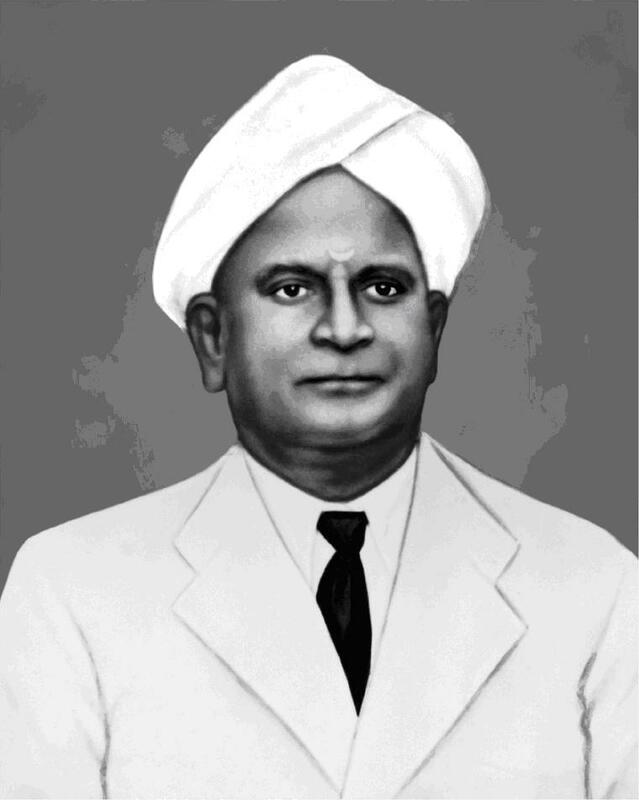 And hence he founded the Egmore Samskrt School in July 1948. It has all along been a free institution. No fee, whatsoever, is ever collected from anybody for any purpose. The Professor’s love of literature was infectious. A verse beautifully recited and dramatically explained by him was indelibly imprinted in the minds of his students. His magnetism drew to him many students. He taught Samskrt to a devoted band of enthusiastic “scholars” (so did he call his pupils). Many of his students still remember vividly his enthralling, theatrical expositions – for instance, of the passages dealing with the burning of Cupid and with Sakuntala’s departure from Kanva’s hermitage. He dramatised the anger and the agony of Asvatthama and saddened his students while describing the sorrowful state of Sita, left alone in a wintry evening on the bank of Tamasa. Often, parallels would be drawn from English literature. A veritable literary treat, indeed, it was to attend his classes. Prof P A S strode like a giant in the Samskrt field. Yet he was absolutely humble. He did not consider his work as something great. To an embarrassing eulogy, he once remarked (which was really a modification of one of Dr Johnson’s famous observations): “My insignificant work to spread Samskrt learning is like holding a farthing candle at Dover to show light to Calais”. The Professor coached his students rigorously to chant the Gita. An instance: An afternoon in December 1950. A competition in Gita Recitation was in progress at the Madras Samskrta Academy. The alert, sedate judges were grilling the candidates. An hour passed. Then came the turn of three students from Egmore. When they recited, Sri K L V Sastri and Sri K Balasubrahmanya Sastrigal, the learned, alert and sedate judges leaned forward. They seemed to be satisfied. They were apparently pleased. Each of the three won the first prize in his respective category. The judges remarked with joy that the prize-winners had recited the Gita melodiously, with perfect pronunciation, immaculate intonation and proper pauses. The three candidates were students of the Egmore Samskrt School. Prof P A S was their teacher, coach. Thus began an era of pardonable plunder – a constant cornering of most of the prizes in various Gita competitions by the Egmore Samskrt School. The pupils were taught Gita recitation in the traditional Gurukula manner at the end of every class. And there was a Muslim gentleman who read the Gita as reverentially as he did the Koran. Students registered even for local competitions were trained so vigorously as if they were appearing for a Gita Olympiad! The students of Prof P A S were greatly benefited by both Samskrt and the Gita. Real education and true culture were the great assets that Prof P A S bequeathed to his followers – the two things that really matter in anybody’s life. Mr H C Norminton of the British Council wrote in the visitors’ book of the Egmore Samskrt School – “A saying of old Socrates flitted across my consciousness: ‘the soul takes nothing with her into the next world, save her education and her culture’. There will be many souls, I felt, eternally grateful to Prof P A S”. Prof P A S passed away on 09.09.1959. But he should have had the satisfaction of bequeathing to posterity three aspects of culture: propagating Samskrt language and literature, teaching the Gita and encouraging speaking in Samskrt. Lest posterity should forget, it should be remembered that after the passing away of P A S, Sri A V Subramanian, a great scholar, who later retired as Additional General Manager, Southern Railway, was the Principal of the Egmore Samskrt School for a few years, till he was transferred to Assam. Sri AVS, with his amiable temperament, wit and spontaneous humour, made his classes very lively and even now his students are nostalgic about his classes. It is a pity and great loss that AVS is no more. The mantle then fell on another Samskrt scholar, Sri T N Gopala Sarma who contributed greatly, for many years, to the activities of the School. He was a great grammarian and quite active and his death was indeed a great loss to the School. The post of the principal was not filled up after the death of Sri Sarma. Yet, the caravan marched on. It still marches, without a Principal, but not for a moment forgetting the principles of the Founder. To his innumerable friends, followers and disciples, Professor P A S was and is still a leading light. It is this light that lights our path and lightens our mind in our efforts to popularize Samskrt, Samskrt literature and the Bhagavad Gita. Copyright © 2009-2017 Egmore Sanskrit School. All Rights Reserved. Powered By Minmini Ventures.